Richard Dean is the Owner and Director of Marin Consulting Associates (MCA). 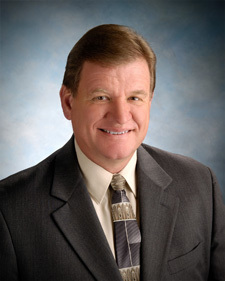 Richard is a nationally recognized trainer and subject matter expert on performance management. Richard travels extensively and has personally trained over 4,000 law enforcement supervisors and managers in seventeen states. Richard is a 25 year law enforcement veteran and a retired Lodi, California Police Lieutenant. During his career Richard served in a wide variety of assignments including: Watch Commander, Administrative Lieutenant in Charge of Personnel and Training, Narcotics Gang and Vice Unit Supervisor, and Detective Sergeant. He also managed the department’s Communications Center, Jail, and Mounted Unit. Richard holds a Bachelors Degree in Human Resources and Organizational Behavior from the University of San Francisco and a Masters Degree in Management from Cal Poly Pomona. He is a graduate of the California POST Supervisory Leadership Institute (Class 7) and of the POST Command College (Class 22). Jon “Cris” Trulsson served with the Stockton, California Police Department for 29 years and retired at the rank of Lieutenant. His assignments included Patrol, K-9, FTO, Narcotics, Robbery/Homicide, Traffic and Administration. Cris holds dual Bachelor’s Degrees in Law and History from the University of the Pacific. He is a graduate of the FBI National Academy (Session 227) and served for four years as the Training Manager for the F.B.I. National Academy Associates California Chapter. Cris is also a graduate of the F.B.I. Law Enforcement Executive Development School (LEEDS Session CA II), the POST Supervisory Leadership Institute (Class 118) and the POST Instructor Development Institute. 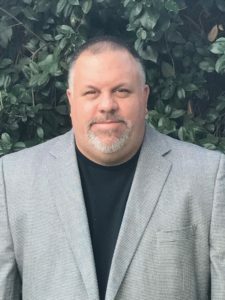 Cris began training law enforcement professionals in 1995 as a Federally Certified Drug Recognition Evaluation Instructor and as a member of the adjunct faculty of the San Joaquin Delta College Basic Police Academy. Cris is a subject matter expert on leadership, performance and accountability in the workplace and as an Associate with MCA, trains law enforcement supervisors and managers nationwide. Internationally, Cris has had the privilege to provide training to the British Transport Police and train with the Police Service of Northern Ireland. Andy Borrello served with the San Gabriel (CA) Police Department for 27 years and retired as a Captain. Andy's assignments included Patrol, Defensive Tactics Trainer, Investigations (Burglary), Special Enforcement Team (Narcotics/Gangs/Vice), and as a Task Force Investigator working major narcotics with LA IMPACT. Andy promoted to Sergeant and then Lieutenant where he worked as a Watch Commander and as Division Commander of Administrative Services, and ultimately achieved the rank of Captain. Andy is a POST Master Instructor (MIDP Class #10) and is a graduate of the Executive Development Course and POST Command College (Class 39). Andy has taught extensively for over 20 years. He is the book author of Police Promotion Super Course and has written more than 50 published articles on subjects including Leadership, Ethics, Management, Risk Management, Training, and Career Development. 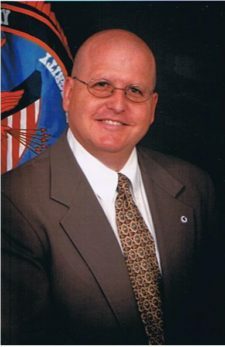 DBA Police Promote, Andy has served as a consultant/coach and seminar presenter for thousands of law enforcement officers, agencies, and professional associations. Andy has worked extensively with POST as a curriculum designer, meeting facilitator, presenter, mentor for Master Instructor candidates, and as an evaluator for Institute of Criminal Investigations (ICI) instructors.